I am referring to the list of documents and then clicking on one and editing/viewing it on the right. Is there a better way to do this? This list probably won't be as long as it is in my example. I don't think a modal would be appropriate for editing a list or drilling down like iOS. -The list of documents will not be modified frequently. Besides initial configuration, an administrator will not be using/modifying the list frequently. Also, this answer is based off of the layout of the page/actions (as that is what I believe you are asking), not the design of buttons, or location of buttons. To answer your initial question on whether or not it's a cascading list, it is not (but has potential to depending on how you plan on navigating). Let's first state that we want the user to be able to accomplish their tasks with the least amount of clicks, and the most amount of comprehension and intuitive actions. These kinds of clicking actions make sense, and are intuitive. I want to modify a Document, so I click the Documents navigation (on the left), and then select the desired document. I agree that a modal dialog for accomplishing this would be a bit much and cumbersome. 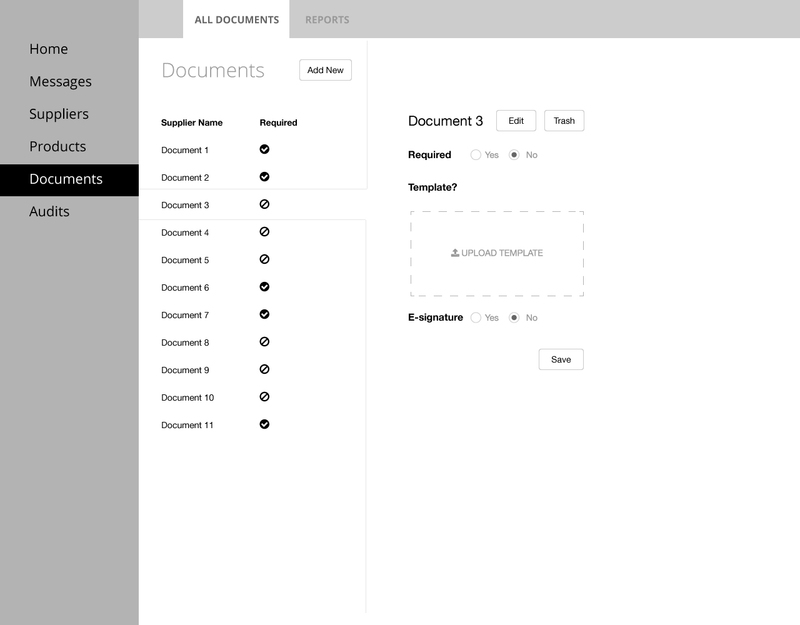 With this UI, the user can easily navigate to the desired document to modify, but then quickly return to Home, or Products. Additionally, this design has a good separation of functionality. There is a clear line between navigation, actions, and configuration, with having the "3-Panel" layout. And I know you said you weren't looking mobile, but it is good to note that a design like this allows for easy mobile design in the future (by ultimately making it a drill down, or a compressed drill down). To answer your other question, is there a better option? I might make the argument that there is always a better option, but those options typically only present themselves with time. A design that was great 10 years ago may not be great today. Based off what I'm seeing/hearing, this design would accomplish your tasks. So the question arises, have there been any negative comments to this design that you have received? Not the answer you're looking for? Browse other questions tagged tables lists or ask your own question. Order of items in admin panel? How do I edit a table of text items in iOS?